The red notice is there for a reason. Sorry i just rly need help, no one is helping me!! 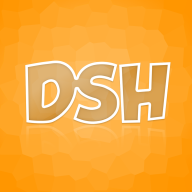 DSH105 pls hulp meh. i kno that big red banr sais not 2 ask but im rlly stuk. how do i bukkit? I mean really. I feel you. hawkfalcon and DSH105 like this. what is on your avatar? gomeow and DSH105 like this. True :P I wish I had one. Cogratulations! Keep that spirit going! Btw, did you changed your avatar?